You're In Luck! You just found the best Landmark Single Level 4 Bedroom, 2 Bathroom Home in the highly regarded Moffett tract. It's move in ready and on a prime, inside corner lot. Highly upgraded with newer carpet and paint. A brand new kitchen with granite counters and a huge Center Island. Stainless appliances and a gorgeous view of the back yard. This House is designed for entertaining with a kitchen and dining area that flows to the backyard which is lush with flowers and vegetation. Visit this Home and you can Imagine relaxing in the back yard with the gentle ocean breeze blowing wind chimes and the soothing sounds of the fountain in the background. This move in ready House also Includes two upgraded bathrooms with quality fixtures, one with a spa tub. A formal living room with vaulted ceilings and a fireplace. Dual pane windows, newer furnace and A/C unit, long life concrete tile roof, and did I mention the yard? 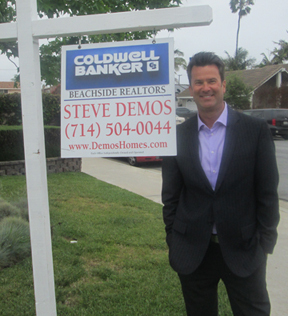 This is the best neighborhood In HB with three of the top schools in the city. Walk to Moffett Park. Approximately 1.5 miles to the beach and near shopping and freeway access. You'll Like The Approximately 1,540 Square Feet Of Living Area In This Pride Of Ownership Property!!!!! This Upgraded Cul-De-Sac Two Story Landmark Home Is Waiting For You! It's Located In A Fantastic Family Neighborhood. There Are 4 Bedrooms, 2 Bathrooms And More Than 1,800 Square Feet Of Living Space. Amenities Include: New Paint And Scraped Ceilings, New French Doors And Sliders, Beautiful Wood Floors Upstairs, A New Concrete Tile Roof And A Beautifully Landscaped Yard. Enjoy Having A 3 Car Attached Garage. Best Of All Is The Fantastic Family Neighborhood Which Is Very Close Shopping, Restaurants And The Beach As Well. The Location Is A Must And The House Shows Like A Model!!!!! Now You Can Feel The Cool Ocean Breezes From This Beautiful Two Story California Classic By The Sea Home In One Of Huntington Beach's Most Desirable Neighborhoods. The Wonderful House Has 5 Bedrooms With A Downstairs Bedroom Or Office Option, 2.5 Bathrooms And Approximately 2,500 Square Feet Of Living Space. Amenities Include: An Expanded Family Room/Dining Area, New Granite Counters In The Kitchen, New Interior Paint, A Concrete Tile Roof And A 2 Car Attached Garage. Your Bonus Is That You Are Situated In An Interior Tract Location That Is Just Steps To The Bolsa Chica Wetlands And To Bolsa View Neighborhood Park. Where Else Can You Find A Great Deal Like This? Experience This Craftsman Jewel With Loads Of Charm Conveniently Located Near Downtown Long Beach And The Beautiful Pacific Ocean. This Two Story Home Has Many Upgrades While It Features Its Original Charm. There Are Four Large Bedrooms, One Point Five Bathrooms And Approximately One Thousand Nine Hundred And Eighty Seven Square Feet Of Living Space In This Property. Amenities Include: A Huge Living Room, A Formal Dining Room, A Den Or An Office Area, Original Hardwood Floors And A Built-In, An Updated Kitchen And Bathroom As Well As A Two Car Garage With A Utility Room. The Oversized Lot Offers Expansion Potential. Hurry On This Great House. It's Priced For A Quick Sale! !